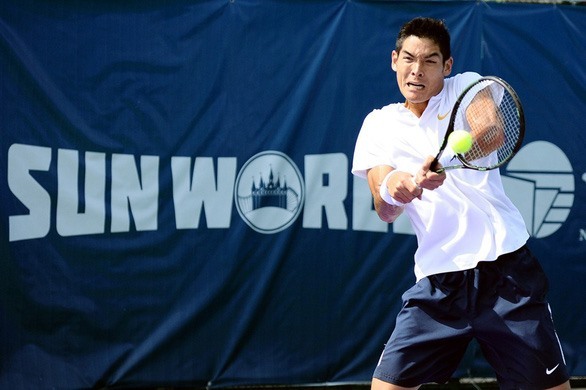 Tennis player Thái Sơn Kwiatkowski, ATP world rank 275, will become a naturalised Vietnamese citizen to take part in the Southeast Asian Games later this year. Speaking with reporters after the tournament, he said that despite being born and raised in the US he would love to represent Việt Nam if he had the chance. Kwiatkowski took time to familiarise himself with the tournament system and seems ready to win the SEA Games gold medal for Việt Nam for the first time. Việt Nam Tennis Federation President Nguyễn Quốc Kỳ said the VTF had contacted Kwiatkowski and persuaded him to play for the country. He has good technique and a competitive spirit. The VTF is working on procedures to naturalise him. He has signed a contract to play for HCM City in local tournaments. The 30th SEA Games will be held in the Philippines from November 30 to December 11.